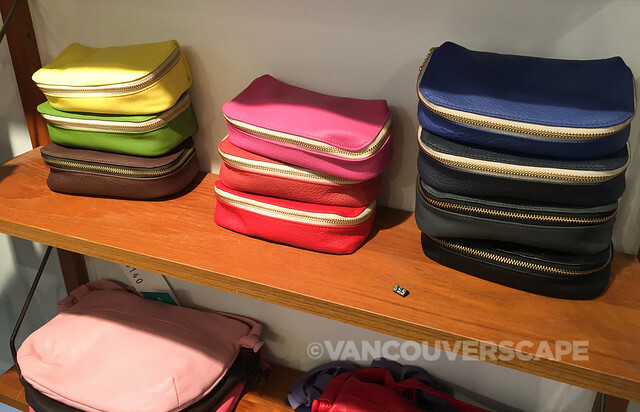 For the past 11 years, entrepreneur/Vancouverite Erin Templeton has been the proud owner of her own very unique Chinatown shop bearing the same name. 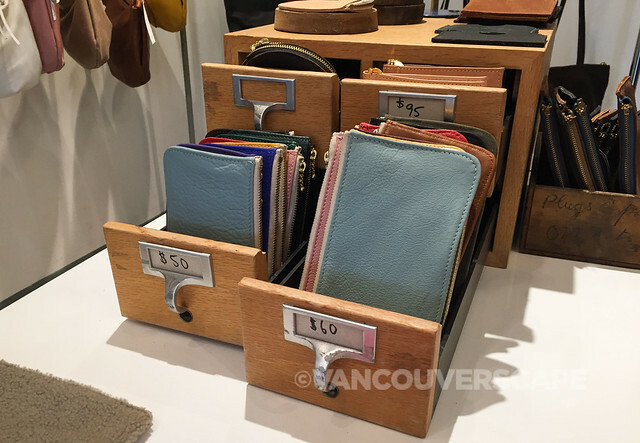 She started out as a vintage picker, sourcing items at various locations, discovering recycled leather and repurposing her finds into stunning, minimalistic purses and accessories. 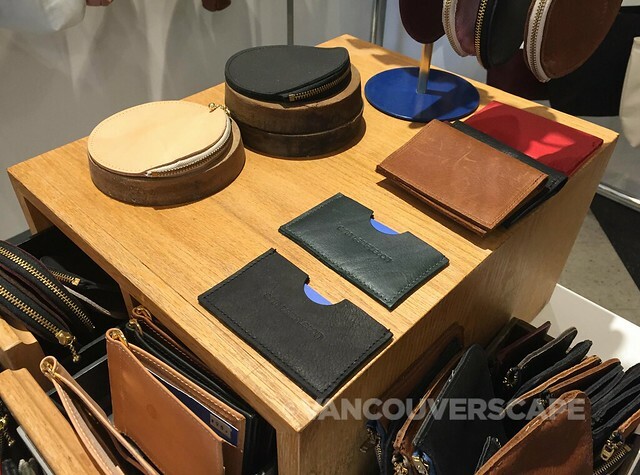 Erin’s line contains a mix of recycled and new leather items produced by herself and by her small, dedicated team. 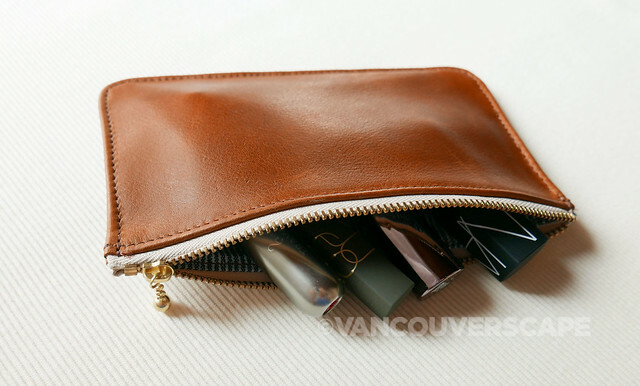 Erin also has an online store and her products are sold at boutiques throughout North America and even at a few in the States (NYC, Seattle, Long Beach). 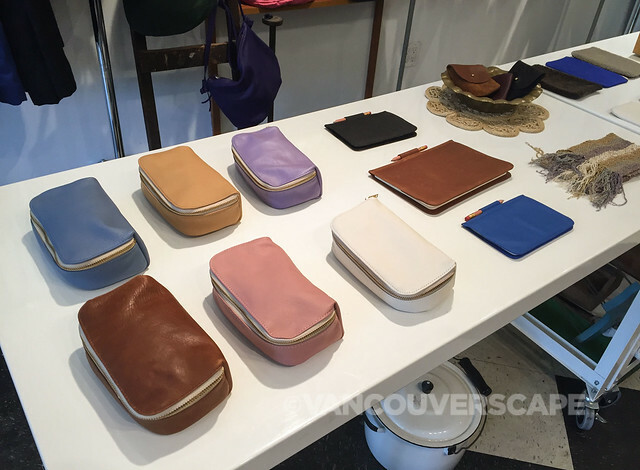 I stopped in earlier this week to check out Erin’s storefront/studio and what I found was a colourful display of purses and accessories as well as vintage jewellery and clothes, artfully spread around the space with a production studio in back. 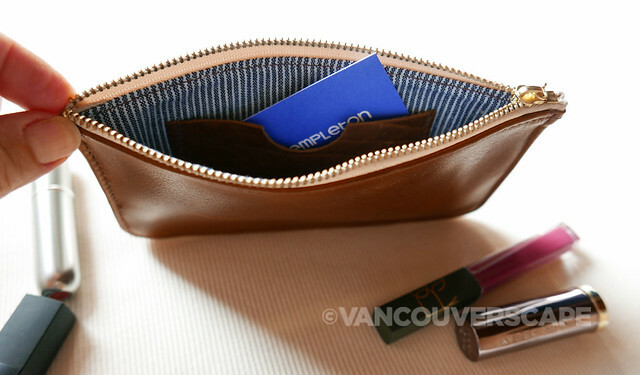 The Time for a Change pouch is one of their best-sellers and comes in two sizes priced at $50 (medium) and $60 (large). The medium measures 3.75″ tall x 5.5″ wide while the large measures 4″ tall x 7″ wide. 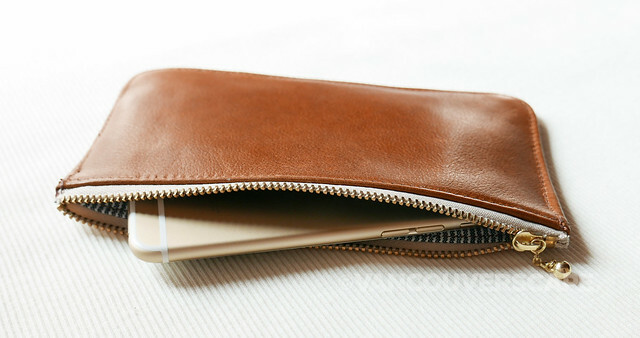 These handy zippered leather pouches sport a striped cotton lining with a leather sleeve perfect for stowing credit or business cards. 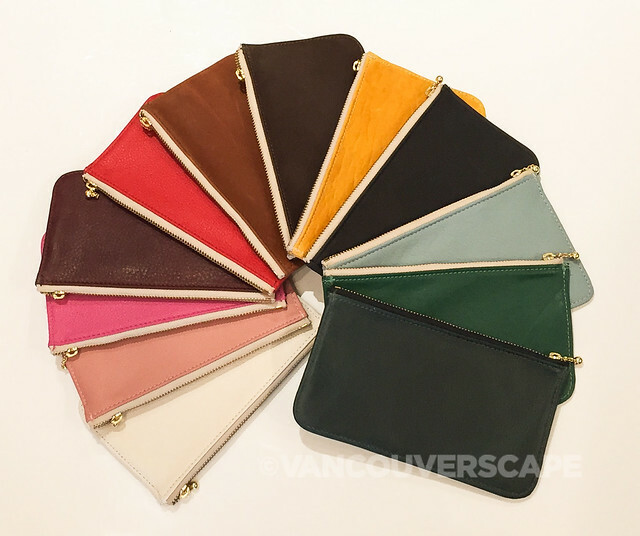 They come in a variety of colours too so you can pair them with your favourite purses and totes. 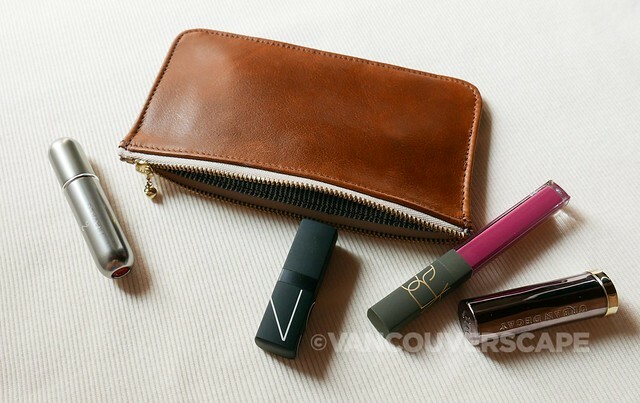 I find these perfect for device chargers such as this Belkin Pocket Power Bank, a compact brush and a few lipsticks, smart phone or receipts while on travel. 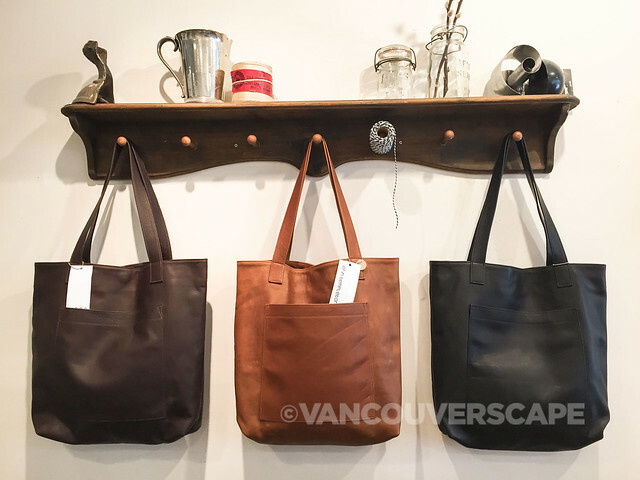 100% designed, sewn and finished onsite, Erin Templeton is just one example of a locally-made success story in our city. 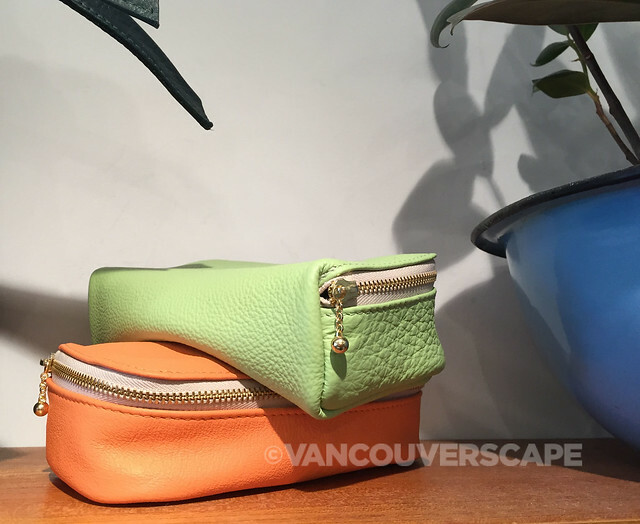 Find Erin Templeton at 511 Carrall Street (at Pender) in Vancouver and online.